Slow Cooker Korean BBQ Beef Sliders are a super simple, family-friendly, amazingly delicious snack or dinner recipe! Layers of slow cooked Korean BBQ beef, prepared kimchi, cilantro leaves, white cheddar cheese, and sriracha mayo are piled high on top of slightly sweet hawaiian dinner rolls. They are baked until golden and served immediately for best results! 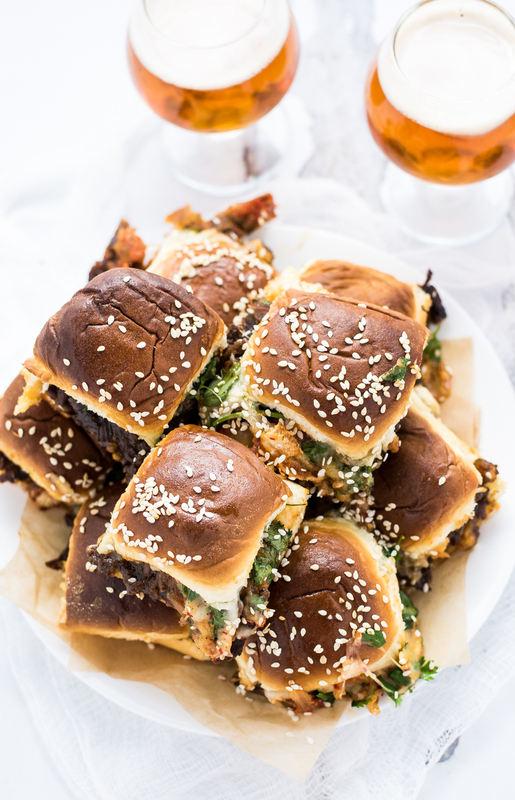 I've been wanting to share these slow cooker Korean BBQ beef sliders for a while now. I feel like there are a million great times of year to share them. They are perfect for summer as they are BBQ-related and super perfect for a small picnic. 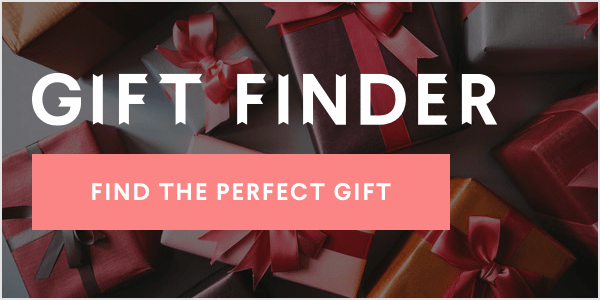 They are great for the fall and winter seasons because they are perfect for a football game day party! What is so amazing about them, is that you can make a whole lot of them with little effort, and when I'm entertaining I'm all about keeping the work to a minimum. I hope you guys enjoy this recipe just as much as I enjoyed creating it for you. 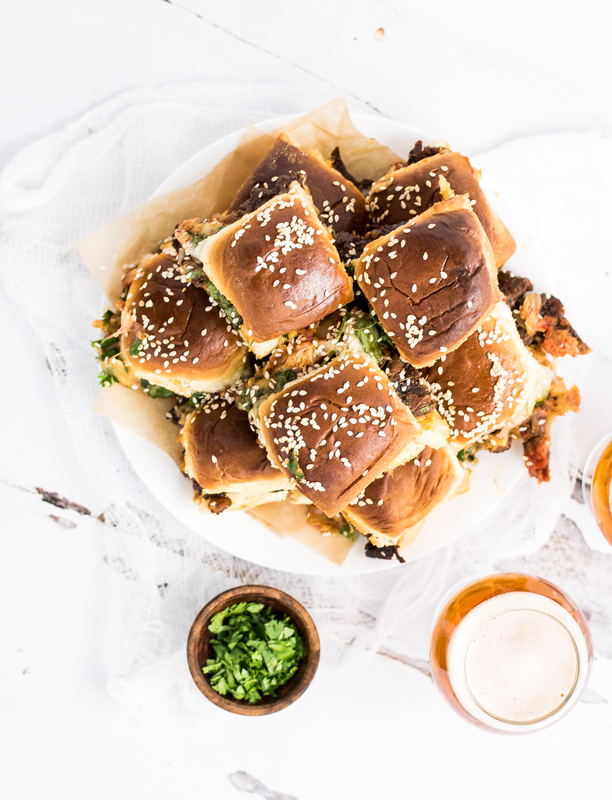 Pair these slow cooker Korean BBQ beef sliders with a porter. 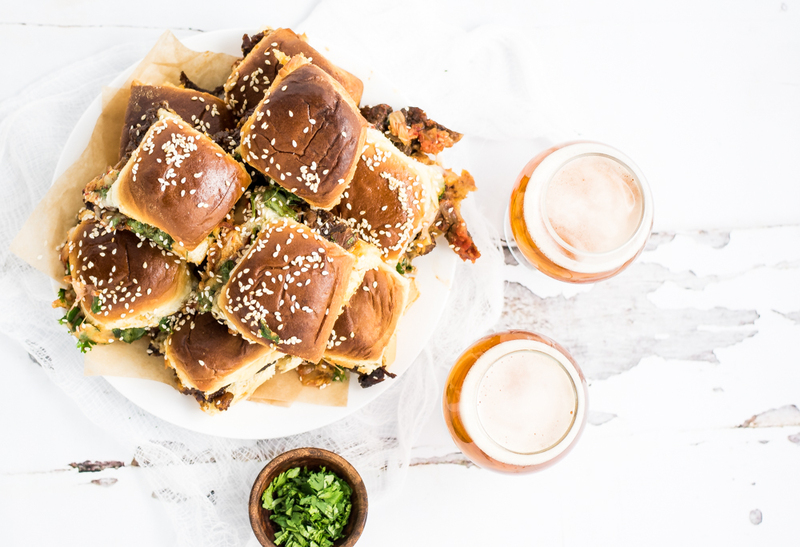 A porter won't get lost in the extreme flavors of these sliders, and the roastiness will really compliment the beef! Add the sliced sirloin to your slow cooker and set the heat to high. In the bowl of your food processor, combine the apples, ginger paste, garlic, brown sugar, soy sauce, and black pepper. Pulse until mostly smooth. 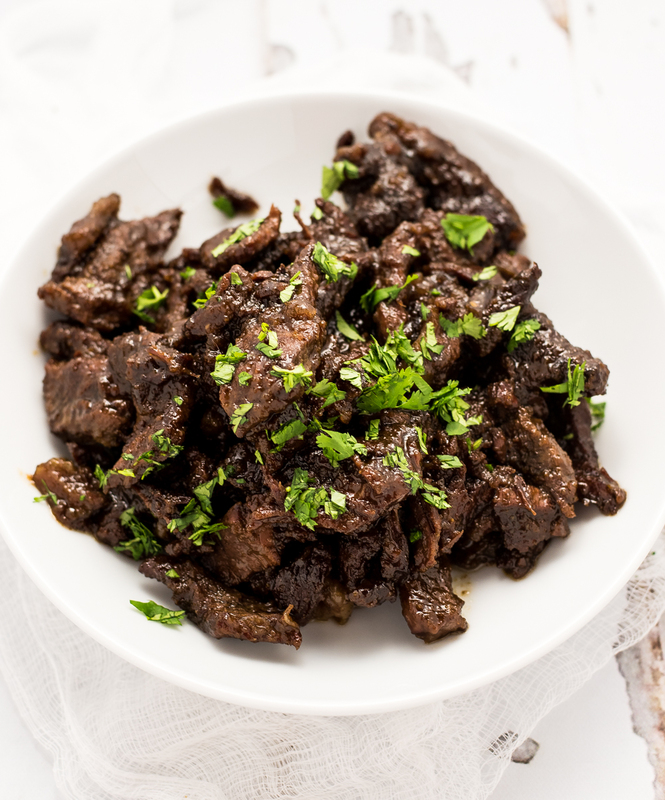 Transfer the mixture to the slow cooker and toss with the beef. Cover and slow cook on high for 4 hours. In a small bowl, whisk together the mayo and sriracha. Refrigerate until you are ready to assemble your sliders. Spray a 9x13in. baking dish with a nonstick spray. Place the bottom half of the hawaiian rolls on the bottom. Spread with the sriracha mayo. Top with the Korean BBQ beef, Kimchi, cilantro leaves, and white cheddar cheese. Top with the top half of the dinner rolls. Brush the rolls with melted butter and sprinkle with sesame seeds. Place the dish in the oven and bake the sliders for 20 minutes or until nice and brown on top. Remove from the oven and let stand for 2 minutes before carefully transferring the sliders with a large spatula to a large cutting board. Cut the slider into 12 equal pieces. 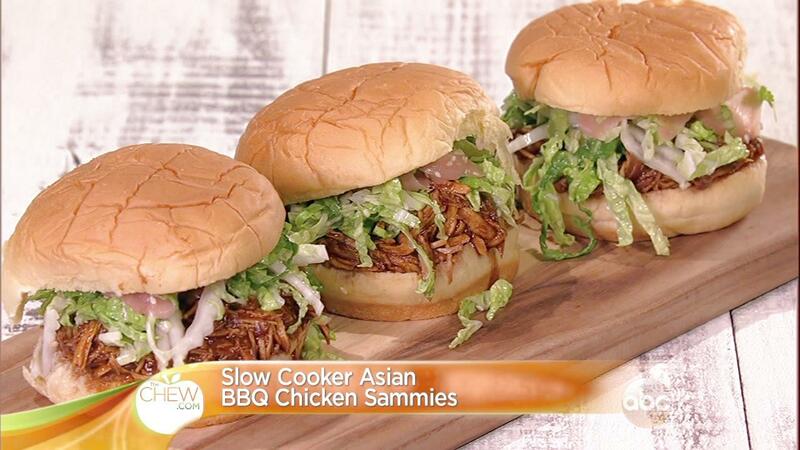 Serve the slow cooker Korean BBQ beef sliders immediately. Enjoy!